Anthony Comello was arrested Saturday in New Jersey in the death of Francesco Cali last week in front of his Staten Island home. 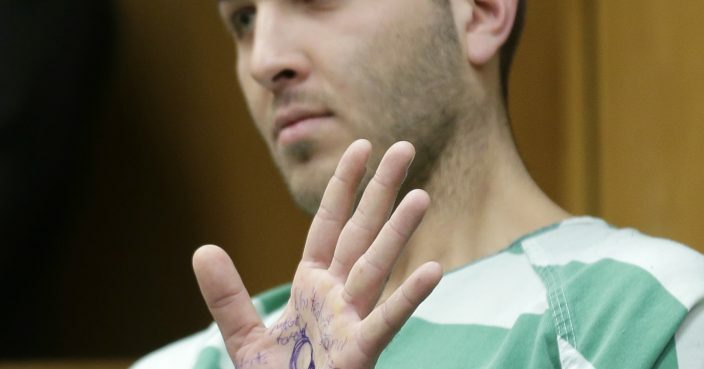 While waiting for a hearing to begin in Toms River, New Jersey, in which he agreed to be extradited to New York, Comello held up his left hand. On it were scrawled pro-Trump slogans including "MAGA Forever," an abbreviation of Trump's campaign slogan "Make America Great Again." It also read "United We Stand MAGA." Comello's lawyer, Brian Neary, would not discuss the writing on his client's hand, nor would he say whether Comello maintains his innocence.